The investigation into last night’s horrific attack in London is progressing as the Metropolitan Police Service (MPS) have this morning arrested 12 people in Barking, east London, in connection with last night’s incidents in London Bridge and the Borough Market area. 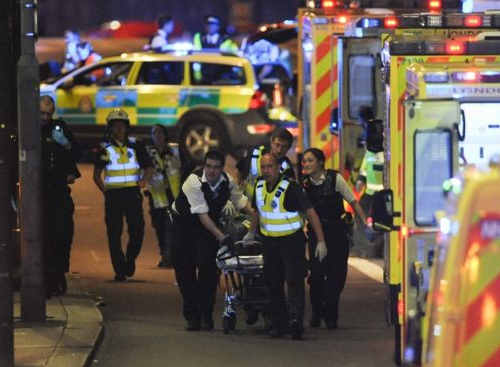 Last night, UK Police received reports that a white van had struck pedestrians on London Bridge. The van then drove to Borough Market where the three men left the vehicle and stabbed a number of people. The suspects were wearing hoax suicide vests, and armed officers confronted the three suspects who were shot and killed in Borough Market. Seven people have since died, in addition to the three attackers shot dead by police and a further 48 people were taken to hospital.